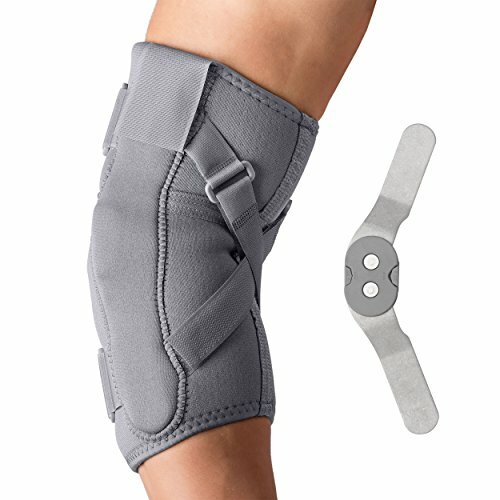 The Swede-O Thermal Vent ROM (Range of Motion) Hinged Elbow features medial and lateral ROM hinges to provide elbow stability and support. Easy to use ROM Hinges have snap in flexion and extension stops (0°, 10°, 20°, 30°, 40°, 45°, 60°, 75° or 90°), no tools required. ROM hinges help control extension and rotation, and to provide exceptional support through postoperative rehabilitation. Crisscrossing adjustable straps provide additional protection from hyperextension. This product is designed to provide warmth and light compression to promote healing and is anatomically shaped for a comfortable fit. Engineered with MVT2: MicroVentilated Thermal Technology™ Thermal Vent Supports have a soft thermal lining that captures and retains your natural body heat to help relieve pain. The microventilated, breatheable membrane is comfortable against the skin and provides a free flow of air which allows the skin to breathe. With unsurpassed quality, these supports provide gentle compression and warmth to help reduce swelling and associated pain as well as promote recovery. If you have any questions about this product by Swede-O, contact us by completing and submitting the form below. If you are looking for a specif part number, please include it with your message.